Learn How To Make Friends With Scorpio!  Despite the well-known Scorpio image, this sign appreciates innocence and naivety. Scorpios love it immensely if you play a role of their victim as in this case they can shock you and corrupt you bringing you to their dark side. Become one of Scorpio’s muses first before becoming one of their friends! During the second part of your “becoming closer” process, Scorpios start acting as mentors and attract you to be a part of their company that is not actually so friendly. In fact, being a Scorpio’s friend may be easier than you used to think. However, ask yourself first – do you really want it?